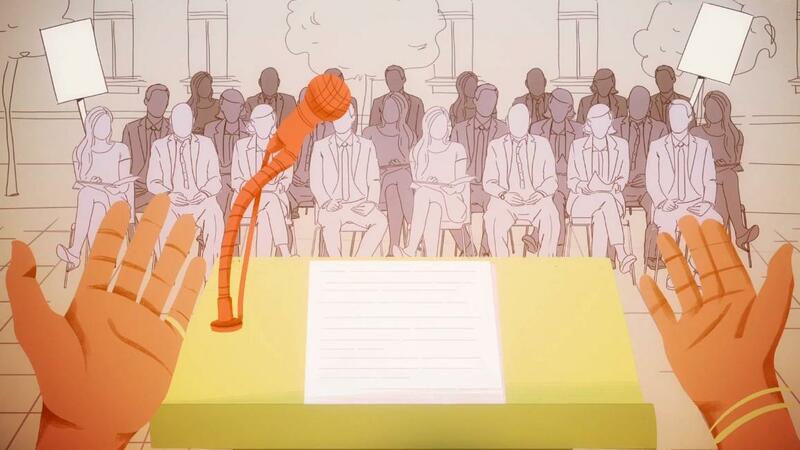 This year's finalists for Parliament's Sakharov Prize for Freedom of Thought were chosen by the foreign affairs and development committees on 9 October. 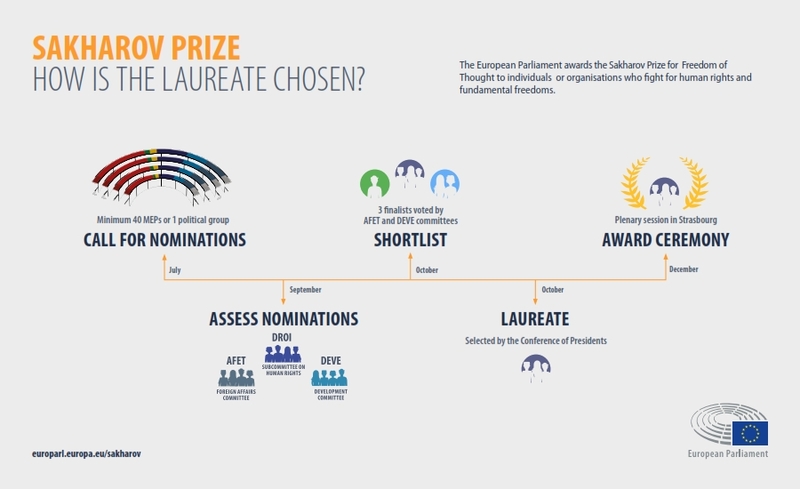 The laureate will be selected on 25 October by President Antonio Tajani and the political group leaders. Oleg Sentsov, a Ukrainian film director, convicted to 20 years in prison for “plotting terrorist acts” against the Russian “de facto” rule in Crimea. He was on hunger strike from mid-May until 6 October, when he ended it because of the threat of being force fed. NGOs protecting human rights and saving migrant lives across the Mediterranean Sea. Since 2015, NGOs from across the EU have launched search and rescue operations in the Mediterranean to try and save the lives of refugees struggling to reach EU shores. Nasser Zefzafi, the leader of Hirak, a mass protest movement in the Rif region in Morocco, fighting corruption, oppression and abuse of power. He was arrested in May 2017 and sentenced to 20 years in prison for “conspiracy against the security of the state”. This year's laureate will be selected on 25 October by Parliament President Antonio Tajani and the leaders of the political groups. The prize, consisting of a certificate and €50,000 will be awarded in a ceremony in the Parliament in Strasbourg on 12 December. The Sakharov Prize for Freedom of Thought, named in honour of the Soviet physicist and political dissident Andrei Sakharov, is awarded each year by the European Parliament. It was set up in 1988 to honour individuals and organisations defending human rights and fundamental freedoms. 2018 marks 30 years since the Sakharov Prize was first conferred. Last year the prize was given to the democratic opposition in Venezuela.